The resort is situated along Na Toey Beach in Kok Klong district. The blue sea is only a 5-minute walk away from the hotel, as is the Mineral Hot spring, which spurts 1-1.5 m out of the ground. The hot spring source was discovered on this land about 40 years ago. The water originally sprang out about 3.5 m above the ground. However, due to development of the area, a concrete wall was made to cover the spring, reducing its height. The local market is around 10 minutes away, as is the bus station. 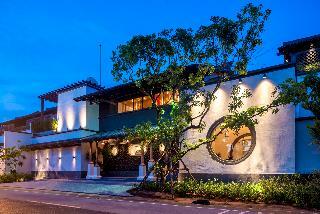 Guests will find Phuket town just a 50-minute drive away, and night life in Patong. 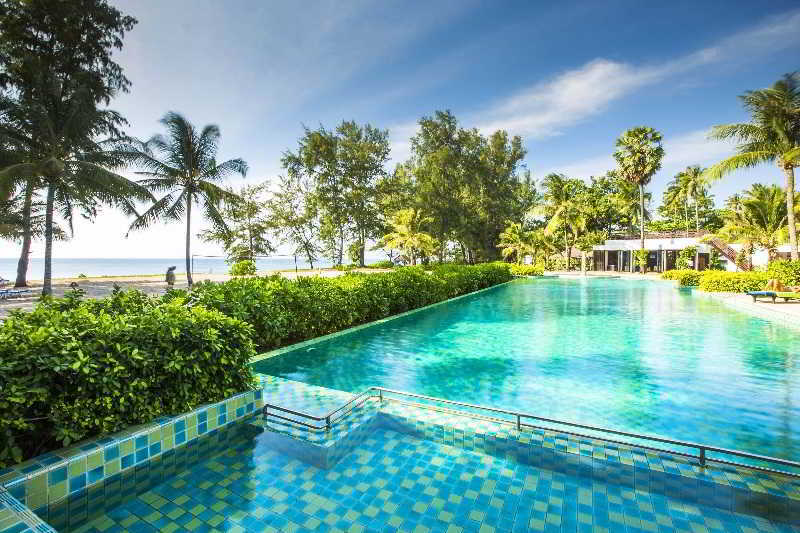 It is just a 30-minute drive to Phuket International Airport (crossing Sarasin Bridge).This charming, family-friendly beach hotel was renovated in 2005 and comprises a total of 75 rooms. Facilities on offer to guests include a lobby area with a 24-hour reception and check out, a hotel safe, a currency exchange facility, a café, a bar, a restaurant, conference facilities and Internet access. Guests may also take advantage of the room and laundry services and there is parking for those arriving by car. 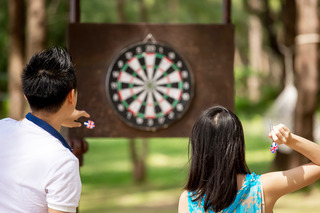 Younger guests will enjoy the playground.The spacious guestrooms are equipped with satellite TV, direct dial telephone, a minibar, individually adjustable air conditioning, a safe, a fridge, a hairdryer, and tea and coffee making facilities. The private en suite bathrooms come with a shower with hot and cold water as well as international standard facilities and toiletries. All rooms come with a private balcony except those with deluxe pool access. Furthermore Internet access, an ironing set and a king-size or double bed are provided in all accommodation as standard. The luxurious hotel Anantara Mai Khao Phuket Villas is excellently located along the beautiful Mai Khao beach, the largest beach of the island bordering the tropical vegetation of Sirinath National Park. 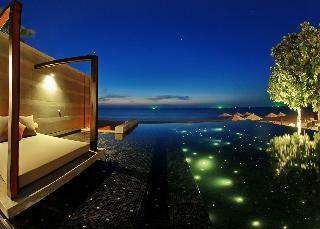 The Thai style villas offer elegant contemporary design and a high level of privacy. The hotel features a wide range of first-class services and amenities including finest dining options and an infinity beachside swimming pool. A wonderful secluded place surrounded by lush vegetation, perfect to relax in a tropical environment. “Coriacea” is the scientific name for Leatherback Turtle. One of its favorite laying eggs site is on Mai-Khao Beach where our hotel is located. Our hotel is inspired by the peaceful and delicate ature of the turtle and has honored this creature by incorporating it into our hotel design. “Coriacea Boutique Resort” is a truly relaxing sanctuary for your mind body and soul. 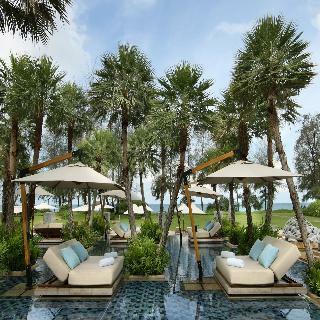 Situated right on the serene Mai-Khao beach west coast of Phuket, which guarantees peaceful nature and beautiful sunset. Only 10 minutes from Phuket International Airport, and the world famous Blue Canyon Golf course. At Coriacea Boutique Resort your touch the soft white sand just few steps away from your room and catch the cool sea breeze right on your balcony. This outstanding complex is a stunning new boutique luxurious resort located on the sunset side of the Andaman Sea and the pristine Natai Beach. This stunning property is a short distance from the Blue Canyon Golf Course and the picturesque Phang Nga Bay, whilst Phuket International Airport is to be found just 20 minutes north. A wide array of accommodation options is at visitors’ disposal. They range from pool villas and ocean view lofts to exclusive private 2 and 3 bedroom beachfront villas, each within steps from the beach and offering commanding sea views. Guests staying at this gorgeous property may indulge in an explosive journey of Asian flavours at the onsite dining options, or rejuvenate body and mind in the state-of-the-art spa area. This property is 2 minutes walk from the beach. 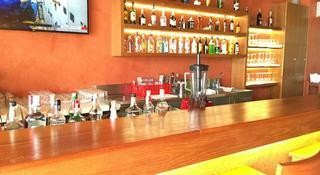 Set in Natai Beach, Baba Beach Club Phuket Hotel by Sri panwa provides free WiFi. 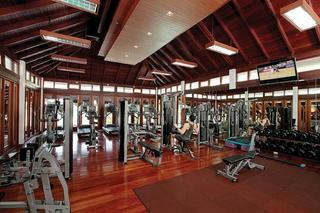 Featuring a private beach area, the property is located within 5 km of Rabieng Lay Thai Seafood Restaurant. Each room comes with a flat-screen TV with with cable channels.At the hotel, rooms are equipped with a desk. The rooms come with a private bathroom and a hot tub, and some rooms also feature a terrace. 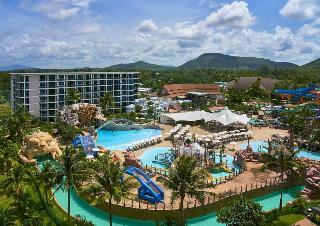 The units at Baba Beach Club Phuket Hotel include air conditioning and a wardrobe.A continental breakfast is available every morning at the property. There is an in-house restaurant, which serves a variety of international and Thai dishes.In the wellness area you will find a fitness centre. 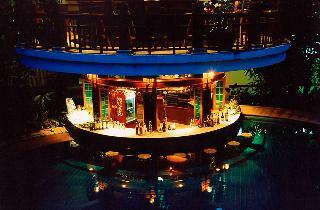 This 4 star hotel is located on the coastline of Phuket - Mai Khao. It is a short drive away from the Blue Canyon Golf. akyra Beach Club Phuket comprises 42 stylish rooms and suites, plus 17 elegant villas, all set amid inspiring natural surroundings. Designed with contemporary Thai influences and an eye on the stunning location, the resort's well integrated, exclusive spaces all offer private balconies or garden terraces, with uplifting sea and sunset views an integral part the stay. This stunning complex is situated on the northwest shore of Phuket island, close to the crystal clear waters of Maikhao Beach. Phuket International Airport is just a 15-minute driving distance. Guests exploring this beautiful island cannot miss some of the most important tourist attractions of the area, such as Chalong Temple, Thalang National Museum, and the popular Phuket’s Big Buddha. The complex offers a choice of exquisite pool villas in a romantic tropical setting which blend perfectly with the area’s natural beauty. They all feature a sumptuous décor and come with a host of modern conveniences to guarantee an unforgettable stay. As for the onsite facilities, the state-of-the-art spa area has been appointed in a classical Thai style and offers exclusive beauty treatments, and guests will have the chance to pamper their taste buds at the stunning dining options.